Tullian Tchividjian: "Approval Addiction Was My Idol"
Home Pastors Articles for Pastors Tullian Tchividjian: "Approval Addiction Was My Idol"
Editor’s Note: As church leaders, our ability to stay focused on Jesus and the power of the Gospel is an everyday thing. No one heralds this more than the grandson of Billy Graham and pastor of Coral Ridge, Tullian Tchividjian. We recently spoke with Tullian about his new book, Jesus + Nothing = Everything, the danger of approval addiction, and the power of the Gospel. The book was born out of a terrible season of pain and suffering for me. I’m only 39 years old, but so far, the hardest year of my life was 2009. It was very difficult for a handful of reasons; the primary one being that was the year the church I planted down here in South Florida merged with Coral Ridge Presbyterian Church in Fort Lauderdale. The church I planted in 2003 was about five and a half years old and about 15 minutes up the road from Coral Ridge. Coral Ridge is a well-known, famous church that was founded by Dr. D. James Kennedy in 1959. He passed away in 2007. The church was, for the very first time, in the unique position of having to go out and find a pastor. They had never been in that position before so they approached me. I told them I was humbled and I was honored but that I was not interested. They came back a couple of months later and basically asked the same thing. Again, I said I’m humbled, I’m honored, but I’m not interested. About four or five months later, they came back, and that’s when they proposed a potential merger between the two churches. So we put a team of guys together from our church and their church, and we met for probably three or four months going through a meticulous due diligence process, looking under every rock and behind every tree. It became very clear at the end of that process that this was, in fact, what God wanted us to do. He wanted us to merge these two churches and birth one new church out of it. So we knew it was going to be very difficult. We knew it was going to be painful. Coral Ridge, as well known as it was, had been in decline for about ten years and really needed some updating, needed a facelift, needed a change. So we knew it was going to be painful. We knew it was going to be difficult. I felt like the father of a blended family, and all of the fireworks that we anticipated started going off almost immediately. There was a small but vocal group of people in the church, long-time Coral Ridge people, who opposed the merger before it even happened. And then after it happened, they started opposing it from within the church and really challenging me publicly in various ways, through letters to the congregation, anonymous blogs, a petition drive. Because the church is well known and my family is well known, it became fodder for the press. It was widely publicized that there was trouble at Coral Ridge. It was embarrassing on numerous levels. I was being attacked; my character was being attacked, not only inside the church but also publicly outside the church. I had never been through anything like this before. The shelling was heavy. I wanted to give up on numerous occasions. I had been there for about two and half months when a petition drive was started inside the church to get me removed. Of course, as you can imagine, it was very painful for my wife and for my three kids. We wondered what in the world did we do. God had been doing great things in our church plant and through our church plant. Everything was going really well, and my life as I knew it had come to a screeching halt. Life became very, very hard. And I can remember, I tell the story at the beginning of the book, I tell the story of me finally having it out with God in summer of 2009 and basically telling Him, “I want my old life back. God, You really screwed up here, and I want my old life back.” And very gently but firmly, through Colossians chapter 1, God reminded me that it wasn’t my old life I wanted back. It was my old idols I wanted back, and He loved me too much to give them to me. And what I realized in that moment was just how dependant I had become on human approval and human acceptance and what other people thought of me to make me feel important and to make me feel like I matter. And it was during that time that God liberated me by helping me to see that Jesus plus nothing equals everything. And I know that sounds like a trite, preachable tagline, but it became my lifeline. 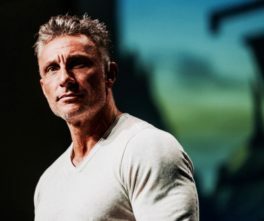 Tullian is a graduate of Columbia International University, where he received a degree in Philosophy, and Reformed Theological Seminary in Orlando, where he earned his Master of Divinity. A grandson of (Evangelist) Billy and Ruth Graham, Tullian was the Founding Pastor of the former New City Church (in Fort Lauderdale, Florida) which merged with the historic Coral Ridge Presbyterian Church in 2009. He served there as Senior Pastor until June 2015.